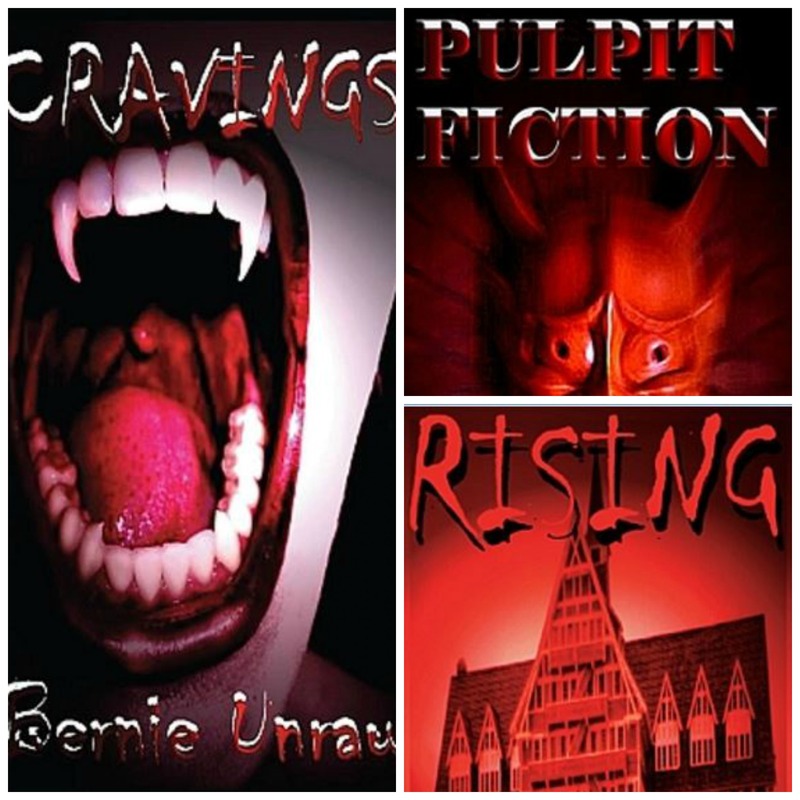 Dr. Bernie Unrau is a dentist, inventor, teacher, author, and screenwriter. He’s also one of PG’s most prolific authors and self-publishers, churning out an astonishing 32 novels and screenplays! His main character, Dr. Gum, appears in many of his books, whose adventures as a gumshoe dental detective are modeled on Bernie’s vast dentistry knowledge. It’s an interesting albeit perplexing process. I may find inspiration in a song, something I read or saw. I begin to investigate, see if there’s a story there, and usually dispel hundreds of ideas. The title or a scene may arise first, then I’ll craft a story around it. I usually let an idea simmer for a while. 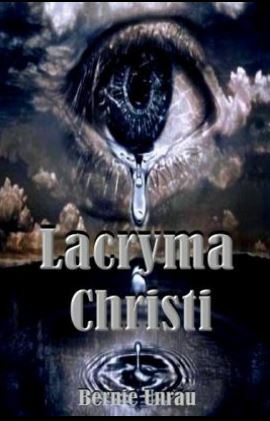 For “Lacryma Christi,” I got the idea from an article I read last year about a doctor who’d been given a clean bill of health after working in Ebola infected areas of Africa. Later it was discovered that he harbored the virus in one of his eyes causing a bizarre discoloration like wearing a contact lens. Eureka! I thought what if the virus was unleashed or used as a bioweapon? How many people are potentially exposed? What’s the worst case scenario? I began to research the disease and the horrific tale slowly came together. With your busy dental practice, how do you find time to write books? Do you have a daily or consistent creativity process? I learned ages ago, from the “father of the medical thriller,” Robin Cook, takes time off his practice and cocoons himself in his condo in Naples FL, for about six weeks each summer. I use a similar recipe, isolate myself in my operatory /writing office in Calgary for about six weeks and focus intensely. I begin to write early say 7 AM, continue until noon, a quick bite, and then continue oft into the evening. I average about 13-15 pages/day or up to 5000 words when I’m in high gear much like Michael Crichton did. Steven King said he averaged about 2200 words/day. The rest of the day I read voraciously, planning, researching the next scenes/locations. The story comes together in about six weeks I’ve found. Then the arduous task of re-writing begins. What’s your best advice for writers just starting out? The best advice to young writers is learn to focus, which I learned from spending many years studying medicine, dentistry, eventually post-graduate implantology. A lot of time management. Find time to set aside in earnest to truly focus on your craft, even if it’s only an hour or two a day. In my case, I’d spent many a summer doing medical research, so I was accustomed to the long grueling hours of delving into a topic deeply. You need to focus, concentrate. Make up your mind, believe you can achieve your goal and you will. Never, never, give up. Where the creativity came from, God only knows. Besides how much golf or tennis can you endure in one summer? Who does your compelling cover artwork? I actually design my own covers. It may be a photo from my collection or usually an interesting image comes to mind that ties the story together or may actually inspire the tall tale. I have a computer program for that. Once the cover art is complete I proceed to design the entire book, front and back, with another program. It may take a couple of days. For example, “Terra Vista” was a signed photo given to me by one of the astronauts, Dr. Georgi Grecko, also the designer of MIR, the former Russian space station after a lecture of his I attended. Do you ever experience writers’ block, and, if so, how do you overcome it? I rarely encounter writer’s block, because the story is meticulously researched and outlined, the characters, genre, locations mapped out, real street names and places. I oft joke about the logo for Caltex Press, an old mariner’s globe, if I spin the globe and point to a location on Earth; I’ve probably penned a book or screenplay about it. Once I begin, the actors take over, show me where to go, what they’re doing, they take me on an incredible journey each time. The story unravels in front of me much like a movie. It’s an intense process and experience because I’m so focused. I’ve had nightmares or near heart attacks while dreaming up the next scenes or waiting for an answer. You can visit www.CalteXpress.com to learn more about Dr. Unrau’s titles.